So I've searched around and found the answer may be the cpu box where the relay is. I checked for signals on through the green/black wire and the green/yellow wire and they both receive voltages. The problem is the left blinker not working. I hear a fast click, but the dash light and the front/back left signal light won't come on. My right side is perfectly fine. With the hazard switch on, only the right side works. That's when I opened the box, took the relay out, and examined it. 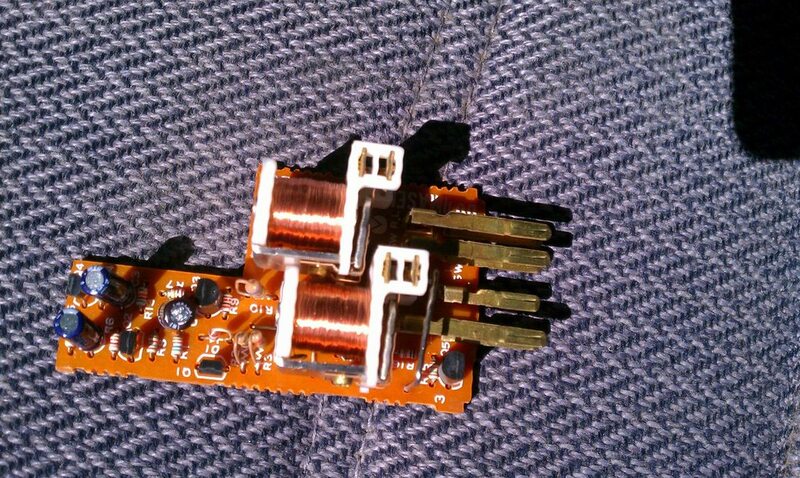 I believe that the left blinker doesn't work because of this orange corroded thing on the board. Is this board fixable or cleanable? I never dealt with this and don't know how to tackle it. have you taken out the bulb in the rear and checked to see if it was burnt? the board looks fine.the brown/orange stuff is flux. i haven't checked to see the bulb in the rear yet, but shouldn't the driver's side bulb work without the rear being blown or not? would the dash not light up if the bulbs in the rear or driver's side is blown? i'll take a look in a bit. i found out that i was missing a brake light bulb, and thought it was blown. so possibly the previous owner removed the left blinkers as well. The blinker just blinks, it doesn't have a "left/right" side, so if one side works, the relay section is fine. The "left/right" determination is handled by the switch. check and replace the faulty bulbs. may just want to replace them all for the markers and turn signals. fast click is generally a simple bulb failure. 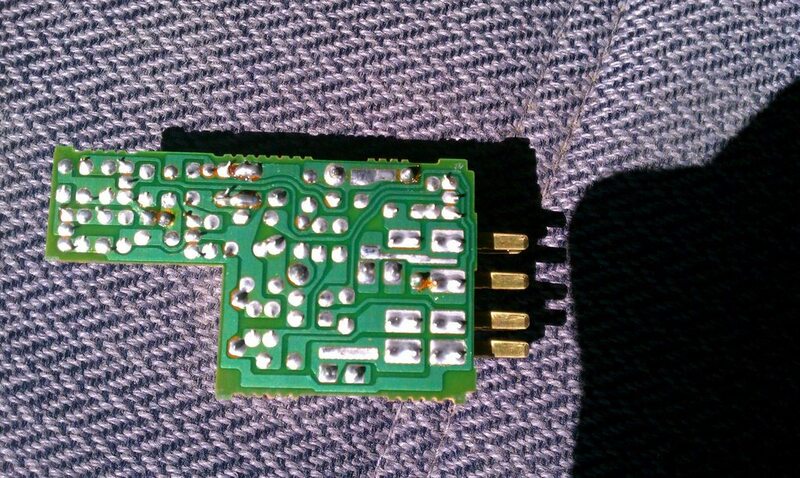 the orange "corrosion" is just extra flux from initial soldering, i don't see anything burnt or abnormal on that board. The "brake" light will on if the bulb for the brakes is gone. considering he ripped the car apart to check the relay i figured that was going a little above and beyond, for a simple bulb replacement. If he'd searched, he would have found numerous references to the left and right blinker fluid reservoirs. To the OP, the right reservoir fill point is right behind the passenger side headlight bucket. The fill point for the left reservoir is at the back under the rear hatch. If your local autoparts store is out of blinker fluid, you can use Windshield cleaner fluid like you get at AutoZone in the gallon jugs for a buck or two while the blinker fluid is on back order. But only use the blue stuff. What you need to do is purchase some filament, and create a vacuum to which you melt glass over some wires attached to the filament. make your own light bulbs! mine failed on the power side of the relay, so it clicked but no lights worked. if was fun i took the board out and let it dangle and played with the switch, you get to see the blinker blink! yup, that's how i saw mine too with just the board plugged in. how did you fix yours? mine just tick fast with the left signal, but no lights on the dash and outside the car. mine had a burned solder joint, so i resoldered it, and it works. took lees time to fix that than to check the bulbs! Judging from my picture, do you see anything that I need to solder? Because everyone is telling me it's the bulbs. I replaced the bulbs today and my problem is still there. My left arrow dash light doesn't blink or turn green. It's black as if it's not turning on. On the outside of the car, there is no light at all. However my right arrow blinks and turns green, just like how it should be. My right blinkers has been working fine all these time before I replaced the bulbs. Just to see for myself, I took off the right bulb in the rear and I heard a fast ticking sound, but the light on the dash still blinks no matter what. So I think my problem is the relay, but everyone is saying it looks fine. What about the BTN 60amp fuse in the engine bay? I took it off just to see what it does and the dash light doesn't blink for the right side. My right blinkers became just like the left blinker; only a fast tick and no lights on the outside of the car and on the dash. I've already replaced the fuses in the fuse box near the relay, in case anyone was wondering. I don't think it's the blinker switch because my multimeter is receiving continuity from the green/black and green/yellow wires when I have the switch on. Though I was checking the end point that connects to the relay box, and not the other point that connects to the blinker switch. Unplug the 7 wire plug from the CPU which houses the G/B and G/R wires. Jumper a wire between these two wires and move the turn signal switch to left turn position and see if the left blinker lights turn on or not, and this is done w/the key to on of course. G/R provides voltage for G/B. The wires mentioned in your first post are unrelated. Last edited by satch; 08-19-12 at 07:49 PM. ^If you unplug the plug just do so to make the jumper then replace the plug and try the above. i tried it and the left arrow turns green. now what should i do? just remembered i should have went outside and looked to see if the left blinker lights up. G/B is powered by G/R so if the jumper lights up the arrow/ blinker light then the problem lies within the CPU. W/o the jumper the G/B wire should receive voltage when the turn signal indicates left turn. Another possible cause would be one of two wires mentioned is pulled back within the plug making poor contact w/the circuit board. Last edited by satch; 08-20-12 at 12:17 AM. I'll take a look at the two wire prongs and see if they are well fitted in the harness. If it is fitted in properly, then I'll pick a cpu up after I come back from my trip in 3 weeks. So I went to pick-n-pull and to my luck there were two s4 rx7 at the lot. The cashier and online database said there's only one in the lot, but i guess they haven't updated the system yet. This leaves me wondering if they even have other cars in stock and just haven't updated it in the system; for instance, i was waiting for a 240 to show up, but they never updated the website. anyways, long story short i was able to get 2 blinker relays. brought them home and 1 of them were bad and the other one works fine! i now have left blinker!!!!! thanks for the help guys! Should i take on this project rx7?